This post is for my good friend and DEISIGN Facebook Page user Aitor Puertas. 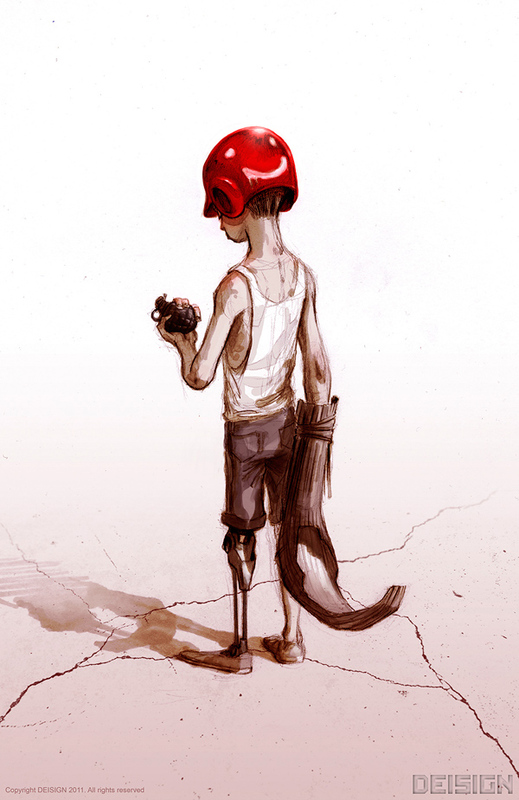 He requested "A Post Apocalyptic Kid wearing a prosthetic", and here it is, along with a Jai Alai basket and a questionable ball. awww man this is awesome! !